What is the STEPS+ Approach to Extreme Picky Eating? What can parents do when feeding is such a struggle that it feels like their only options are to fight over every bite, or to surrender and serve a child’s limited accepted foods day after day, year after year? How can parents lovingly support their child with extreme picky eating? That is the essential question we aim to answer with our STEPS+ approach in Helping Your Child with Extreme Picky Eating. STEPS+ is not about finding the one trick or rule to get a few more bites in. 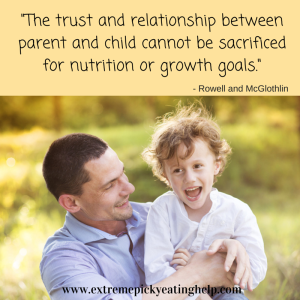 Rather, it’s about helping your family heal while facilitating your child’s enjoyment of a variety of foods in the right amounts so he can grow in a healthy way. It’s about ending the battles over food, and looking forward to family meals—maybe for the first time! It’s about celebrating and enjoying your child, no matter what his challenges are, and not letting his eating define his life or your family’s. How? 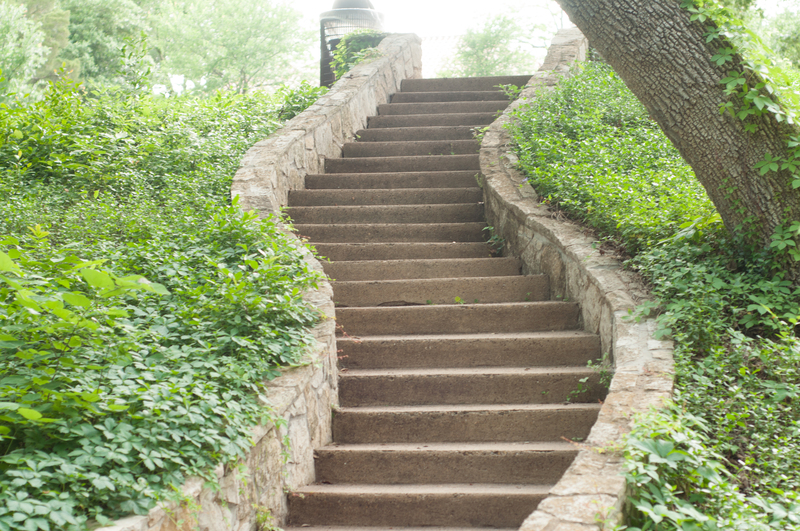 We call our approach STEPS+. Supportive Treatment of Eating in PartnershipS. There are steps you can take to support your child’s eating. STEPS+ approach is a blending of the work of Jenny McGlothlin, a pediatric feeding therapist and Speech Language Pathologist (SLP) and Katja Rowell, a family doctor specializing in relational and responsive feeding. “STEPS” (Supportive Treatment of Eating in PreschoolerS) is Jenny’s therapy-focused feeding program that she developed at the UT Dallas Callier Center. When we (Katja and Jenny) began working on the book after being virtual colleagues for a few years, we wanted to include and expand on the relational aspects of feeding that are often overlooked in the therapy world to empower parents to support their child’s appetite, nutrition and even joy around eating. 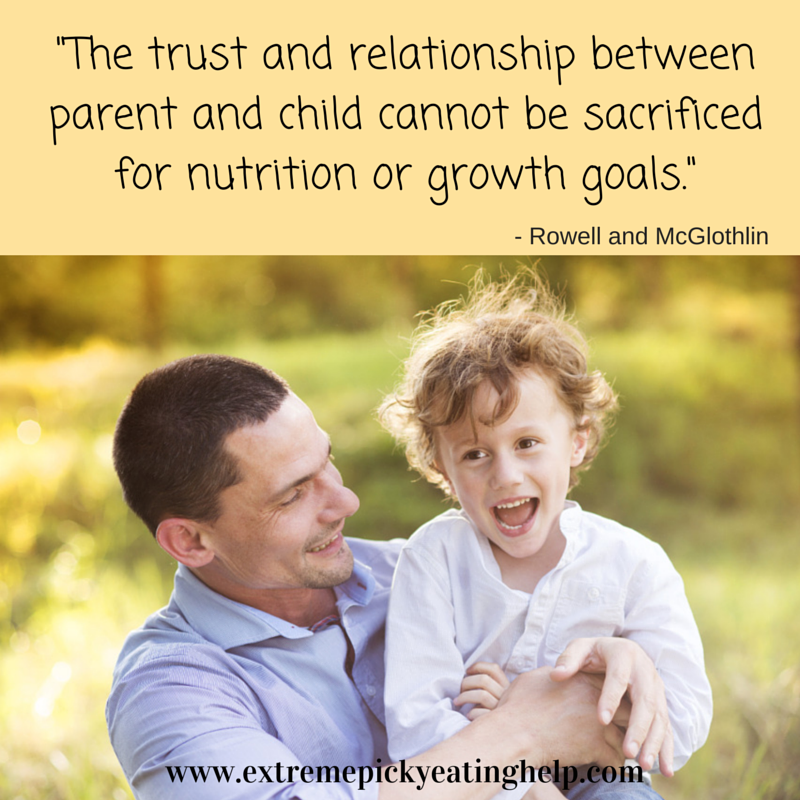 This relational piece of the feeding puzzle includes seeing parents as experts on their own children, providing support for growing or rebuilding a trusting relationship with their child around food, and creating awareness and developing understanding of the unique anxiety that surrounds children with extreme picky eating. We amended the original STEPS name to fit this integration of ideas and to include older children that often struggle with extreme picky eating (EPE). The P stands for Partnerships, as we believe that the partnerships around feeding are integral to the child’s success. We added the ‘+’ to cover all the extras, from menu-planning with limited safe foods, sensory play, to a significant focus on exploring therapy and finding the right fit for your family (see below.) And it won’t feel like therapy! Feeding children happens within relationships. Your child needs confident, competent, and nurturing feeding partners. The relationship of parent and child is the core of the STEPS+ approach. The book includes three foundational chapters to 1) help you understand what ‘normal’ is 2) understand your child’s challenges and 3) understand your role. Building on this understanding then, we explain the five steps, each described in detail in their own chapter. What ages does STEPS+ cover? STEPS+ is generally focused on the toddler years through grade-school. However, the principles apply from infancy on. We begin with the introduction of solid foods, and include examples and modified exercises and tips for tweens and teens. While a supportive home environment is the initial and most important piece, once young people grow into older tweens and teens, they may benefit from individual therapy. 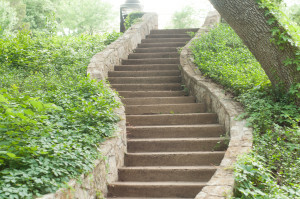 Is STEPS+ appropriate for children with special needs? Our integrated feeding and therapy model is centered on responsive and trust-based feeding for all children. Yes, it is effective for children who are on the autism spectrum, or have sensory challenges, or anxiety. Our work is based on the work of Ellyn Satter’s Division of Responsibility, Marsh Dunn-Klein’s Get Permission approach and the wisdom and extensive therapeutic insight of Suzanne Evans-Morris (among other talented professionals). For children with special needs, trust and nurturing is paramount. The STEPS+ approach is appropriate whether your child is in therapy or not, and even if your child has “failed” therapies. In addition to the steps parents can follow to support their child at home, including several sections with a more “therapeutic” bent, we help parents determine if they need more support from a therapist, and importantly how to find the best therapy partner! (We indicate when some of the more therapy-centered activities and strategies are not necessary for children with more typical eating.) We review discussion points for finding therapists, red flags when a therapeutic partnership may not be working, and how to know if therapy is the right fit. We find that some children are in therapy who do not need that structured and intensive approach, while others who need professional help are not getting appropriate referrals and treatment. We help parents figure it out. What about our other child? While our work focuses on helping families with a child with extreme picky eating, this approach helps the family as a whole. It is respectful and supportive of children in the family who may or may not have a low appetite, who may or may not be smaller than average, who may or may not be a typically picky eater. It holds at it’s core the precious relationship between parents and their children, the relationships between siblings, and the relationship between the child and food. Follow us on Facebook, Twitter, and Pinterest for resources, information, articles, and news.